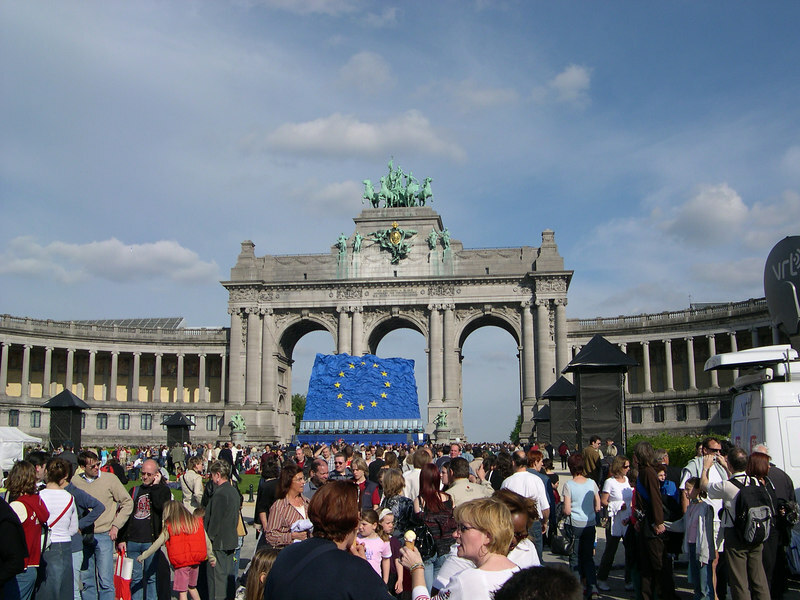 The European Union added 10 new member states on May 1, 2004, and they held a celebration in Cinquantinaire Park in front of our apartment in Brussels. We joined the festivites, and the next day, Susan held a brunch for members of the NATO Board of Audit. Part of the crowd in Cinquantinaire Park, near the arch.